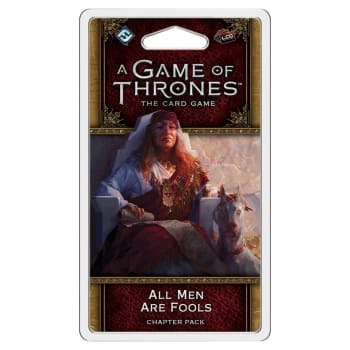 All Men Are Fools is the first Chapter Pack of the Blood and Gold cycle for A Game of Thrones: The Card Game, and it sets off the themes that will play out throughout the cycle. 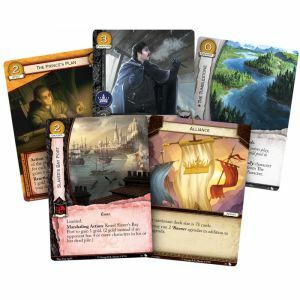 Following the lead of the previous two cycles, Blood and Gold focuses on the next book of A Song of Ice and Fire, calling on key events and iconic characters from A Storm of Swords. At the same time, you'll find a new focus placed on one of the game's most important resources: gold. With a brand-new keyword and powerful recurring events, every faction gains new ways to spend their gold, as well as plenty of new ways to earn it. 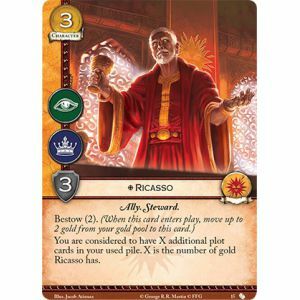 Managing your gold has been crucial since the days of the Core Set, and soon, every faction will have more gold and more options than ever before.